To establish yourself in your organization and also for initiating a job hunt, almost all job seekers are paralyzed with fear. If you are in the process of job search, you must find out which fear is standing as a hindrance for your career. When new opportunities arise, almost all job seekers put forward fear factor initially. It is advisable to push away the fear factors. Obtaining an opportunity is never simple and so one should drive away fear factor, so that we learn new things and add value to our character. Apart from monitoring the sources of fear, overcoming them is also important. Let’s sail through few fears that pop up when you’re under job search process. 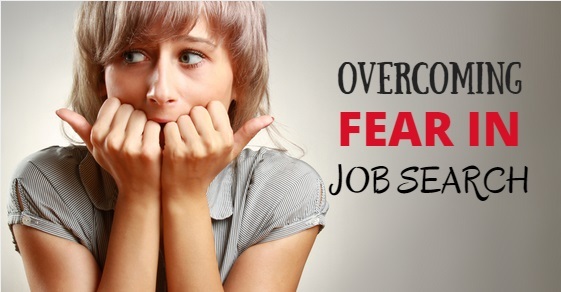 Let’s also look into ways to overcome the job search fear factor. An individual who is under job search can undergo or experience a number of fear and instances during job search. When a job seeker is rejected an air of fear develops within them, in the same manner when opportunities are missed they think they lost a big chance and fear develops, failure, change to new boss, new location, new office and more factors are the basic fear factors. Fear happens for each and every individual when a job search is started. This fear will and should never travel throughout the career and hence getting rid of it initially is mandatory. To drive away fear one needs to face fear in each and every step of job hunt. Either giving a speech on stage or to the recruiter, it is usual that butterflies fly around the complete stomach. It is during that fear period should you develop a determination and speak out boldly. You should possess the mentality that you are right and be brave. Facing fear is one way to drive it away. Once you’ve decided for a job hunt, do not navigate blindly as it develops more fear while travelling on an undecided path. It is important to take action as action vaporizes fear away. Make your schedule and pen down a planner about where you want to go and what you wanted to do. Once you have made your plan make sure to seek the help of an expert or advisor rather than travelling alone. This will push fear behind and help you lead your path towards success. For any specific job you must have accomplished and put in all your efforts, but you may not receive a reply. When you aren’t called back, instead of fear invading you, you can make more opportunities and look for other job hunt. Do not let fear control you, when you think its delaying take a step and move on. Sometimes fear may be an over flooding factor and many people may also avoid doing certain instances which they are afraid of. But that isn’t the solution. When you have identified fear, it is good to take small steps and drive away the fear. Getting more data, getting to a comfortable zone, boosting confidence may be some ideas. Fear is to be assessed, think of many questions such as what you gain from fear, what would be the situation if you minimize the fear factor, think of positive outcomes that can happen when fear is averted, and break down fear. During the interview process fear plays the key role when rejection is announced. It is during this situation that one should reframe failure. It is not always a bad aspect to fail in something. But look into failure as an opportunity to know improve by learning from the advices and this will surely lead to success. Fear is present everywhere in every step of job hunt. The new environment, surroundings, and nature of the industry will pull in more fear inside ones heart. The right way would be to recognize the fear, feel it and accept it. By monitoring the feeling and adopting it, the intensity of the fear will lessen by as time passes. When a job seeker is not prepared for interviews or other sessions of a job hunt, then fear automatically develops within the individual. When you’re prepared, there is no doubt when you’re questioned and you are also able to concentrate well. When you’re prepared, your gestures and body positions are also positive and valued by the interviewer. An interview process is where almost all individuals are nervous and shy; they fail to have eye contact with the interviewer. This fear in an interview creates a negative impact by the interviewer where the job seeker loses all good opportunities. Self esteem and confidence is something that should be developed in an individual. Having high confidence level is mandatory in a job hunt. Lacking confidence may affect the job seekers career, and hence developing confidence is needed. A job interview is an unexpected situation for any individual. For even the best candidate the experience can be worse such as rude behaviour and rejection. Negative thinking is an obstacle which blocks your vision from other right opportunities. When you possess a negative attitude, then you would never perform or express well in other interviews. And hence being optimistic with a positive approach is mandatory to drive away fear. Here are some techniques which help you get rid of fear and make you stand confident. Power posing is one such technique, where one needs to pose like a super hero before the interviewer. By this way confidence is boosted and performance in the interview is also improved. People may think it as a silly play but research has proved that by this method the testosterone levels would increase and cortisol levels would drop. It would be perfect if one imagines themselves in an interview in a successful mode. Visualise that you performed excellent and impressed all the recruiters inside the interview cabin. A good result would be obtained when you link your visualization with your positive confidence. Breathing techniques are another way by which anxiety can be driven away. For this a pause and a simple deep breath can do magic as they can cool your panic feeling and any jitters too. When anxiety arises, a quick shallow breathing is raised which fails your body language in the interview. Stopping everything and taking a deep breath is really important to vanish fear. The main part of fear is that it makes you stumble with words, by this way you can conclude that your anxiety has over taken you and you try to make rapid speech. Nervousness also adds to this situation and makes your speech fast. This leads to the job seeker to answer before even he could listen to the question properly. It is at this stage that you need to pause and never try to fill all the silent gaps. It is good and the recruiters also wanted you to pause and answer. For any job hunt, it is a true fact that not all questions are to be answered as some answers are unknown. There are some recruiters who intentionally ask stress questions to know your reaction. One tricky way to escape fear and also answer the question is to redirect the question and move into discussion with some topic you are familiar with. It is also advisable to stay calm and speak in a confident manner. When you speak more on what you are expert in, your confidence level enhances and fear runs away. Do not deviate and pull down the interview with tough questions, instead answer and make sure you’re confident for the next question. These few factors make you smarter and wiser and help you conquer against fear. The major fear factor can be vacated in minutes by following the above tips. Failure is unavoidable and we can take our best steps and put in efforts to avoid failure by driving away fear. With calculated risks and actions fear can be moved away during the job hunt process. A smart way and knowledge in handling thee fearful situations can make your opportunities into success. It is therefore important to be conscious and value each opportunity and handle it in the right way by researching well before a job hunt process. The tips mentioned above are exceptional and would be useful for the readers to make their job hunt a successful one.